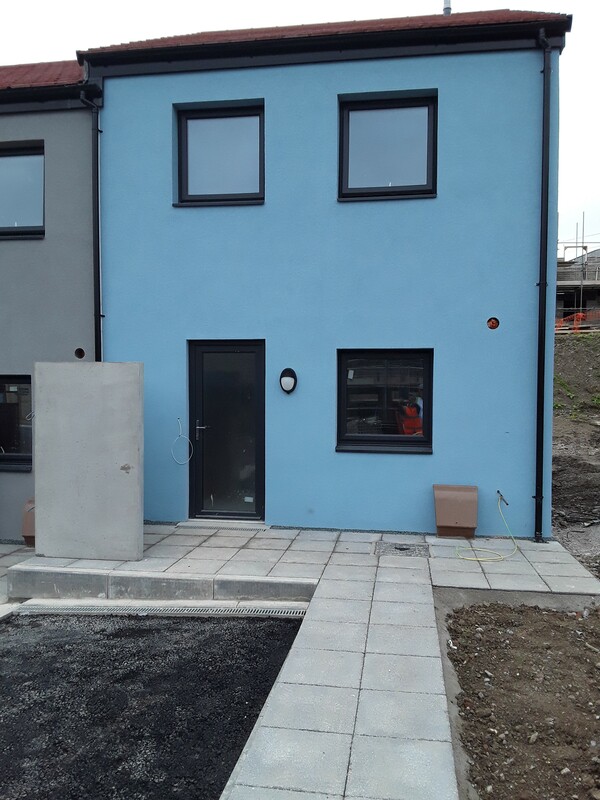 Building materials manufacturer Aggregate Industries, has successfully supplied its Masterdenz® concrete blocks to Plymouth Community Homes for a 72-home low-energy development in Whitleigh, Plymouth. The scheme has been carefully designed to meet Passivhaus principles, which uses specific materials and construction methods to reduce heating demand in the home and therefore primary energy consumption. To help meet these standards, Aggregate Industries has supplied 14,300m² of its Masterdenz concrete building blocks. A high strength, dense and robust product, the blocks were laid flat in the homes to enable a quick build speed, as well as an air tightness of 0.6 ACH (air changes per hour). Combined with triple gazed windows, the Masterdenz blocks will retain heat within the new builds, meaning that only one radiator is required for the home. The outcome is ultra-efficient buildings that necessitate little energy for heating, helping both the homeowner and the environment.